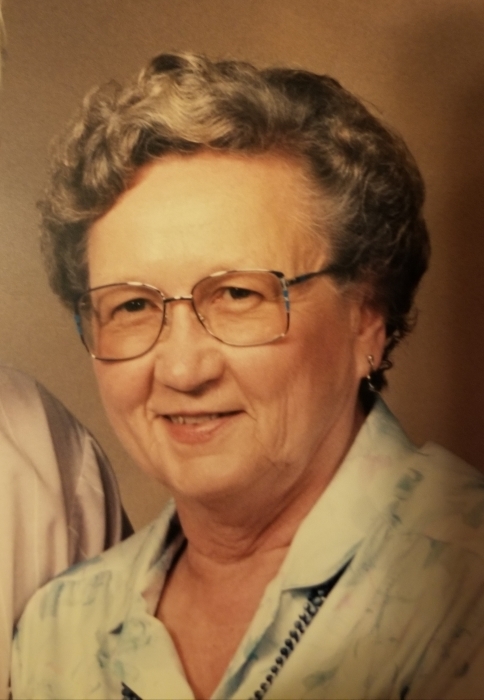 Margaret Mary (Lee) Moore, 87, of Winchester, passed away peacefully at Wellbrooke of Westfield, IN, on Tuesday, January 15, 2019. Margaret was born May 12, 1931, in Portland, IN, the daughter and only child of Arthur (Art) Eugene Lee and Mary Margaret (Jellison) Lee. In the early 1940s, the family moved from Portland, IN, to the family (Heston) farm at Powers, IN, just west of Ridgeville, IN. The move came after Margaret's grandfather, Charles Jellison, suffered a stroke. Arthur, Mary, and Margaret then took on the operations of the farm, which still remains in the family to this day. Margaret continued her schooling in Portland after the move and graduated from Gray High School in 1949. She then attended Ball State University and graduated with a Masters Degree in Education. She started her teaching career at Oliver P. Morton Elementary in 1956. At Morton, she taught kindergarten, 1st grade, 1st-2nd grade (Split), and 3rd grade. She also taught in what was referred to as the "Opportunity Room" for three years. This was a room that taught three grades at a time, ranging from 1st to 5th grades. In 1984, she moved from Morton Elementary to Baker Elementary, where she taught 1st and 3rd grades up until her retirement in 1994. She made many of her own teaching supplies during her years as an educator. Her teaching career spanned 35 years and touched the lives of many children. She greatly enjoyed teaching and cared deeply about and for her students. Margaret loved to read, and she read constantly. When she wasn't reading, she enjoyed doing needlepoint and sewing. She also reupholstered a number of chairs and caned a few. She enjoyed rollerskating and while at the rollerskating rink in Deerfield, she met her husband, Charles Edwin Moore (B: 6/19/1926, D: 9/1/2016). They married on April 11, 1952. Together they enjoyed gardening at their home just west of Winchester where she and Charles grew beautiful flowers. They both had a love for Hawaiian Steel Guitar music and in 1984, they took a trip to visit Hawaii. After Margaret's retirement, they enjoyed traveling to the Southwest - Colorado, New Mexico, Utah, Arizona, and Nevada - and collecting authentic Native American pottery. Margaret enjoyed art and at one time had taken up painting. Margaret greatly encouraged her children's (Rebecca, Linda, and John) artistic endeavors. Preceded in death by her parents and her husband Charles of 64 years, who passed away September 1, 2016, Margaret leaves to cherish her memory her two daughters, Rebecca Moore Higgins of Fishers, IN, and Linda Moore of Indianapolis, IN; a son, John Moore (Selena) of Boise, ID; a grandson, Logan Moore of Martinsville, IN; and a granddaughter, Lorin Moore of Fishers, IN. Margaret loved her family. She was a kind, thoughtful, and caring wife, mother, and grandmother. She is deeply loved by her family and will be greatly missed. A combined visitation and memorial service to celebrate Margaret's life will be held starting at 12:00 noon, Saturday, January 19, 2019, at Wilson Shook Funeral Home, Thornburg Memorial Chapel, 2048 N 1000 W., Parker City, IN. The services will immediately follow and begin at 1:00 pm. The family will hold a private graveside service with burial at Fountain Park Cemetery of Winchester, IN.